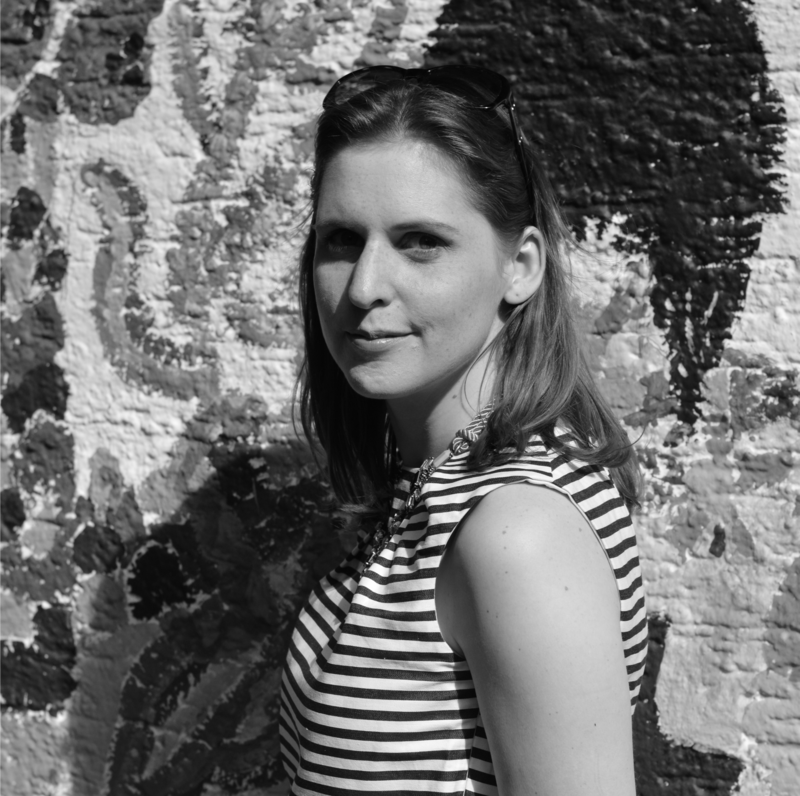 I love about simple patterns that you can easily modify them and adjust them to your wishes. 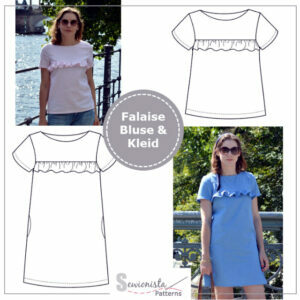 In my last tutorial I showed you how you can turn the sleeves of the Grande Arche blouse/dress into ruffle sleeves. 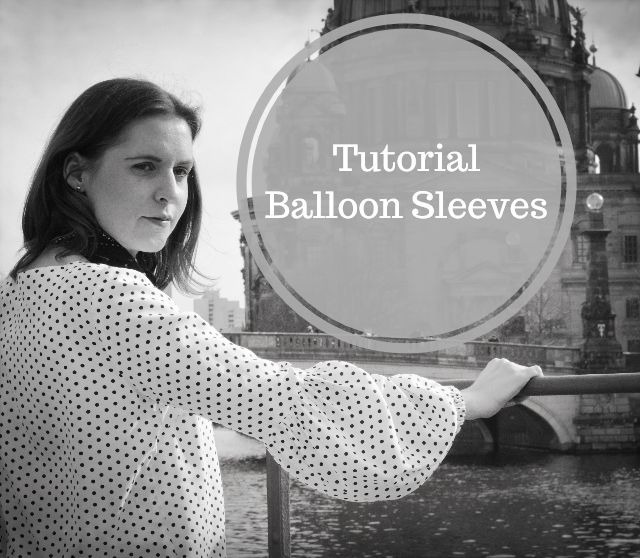 And today I’m giving you a tutorial for balloon sleeves, which are gathered on top and have an elastic at the hem. For the version with balloon sleeves I used the pattern piece of the bell sleeves. 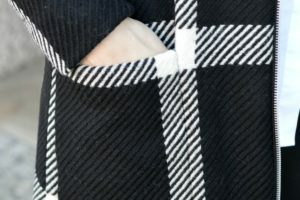 For the balloon sleeves you only need a stripe of fabric, which is 1.5 times the width of the sleeve (for size 36: 30 cm x 1.5 = 45 cm). For the seams you 1.5 cm seam allowance to each side (45 cm + 1.5 cm x 2 = 48 cm). The balloon length have a length of 37 cm. 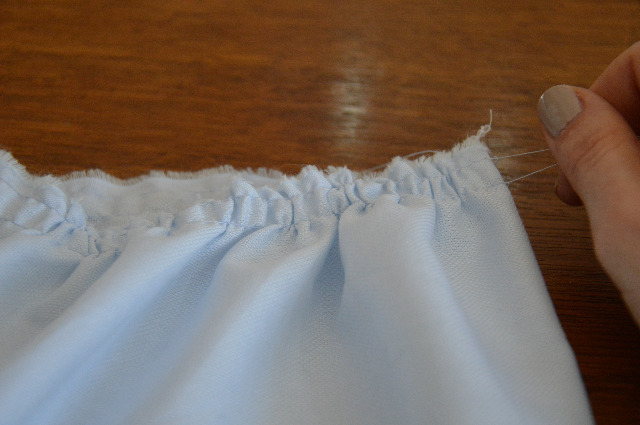 The hem is double folded and thus I added 3 cm at the hem to have finished hem width of 1.5 cm. For the seam at the top I added another 1.5 cm seam allowance. 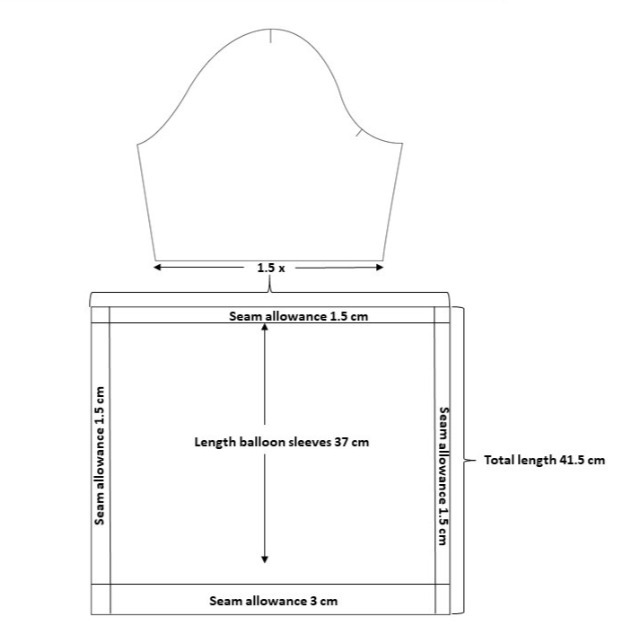 The total length of the balloon sleeves is 37 cm + 3 cm + 1.5 cm = 41.5 cm.  Instead of cutting the fabric, tear it apart! This way you can be sure that all sides are perfectly straight. 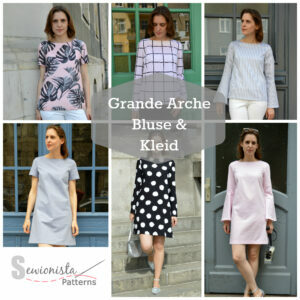 Follow 1 to 4 of the sewin instructions for the Grande Arche blouse/dress with short and long sleeves. 1. Close the stripe for the balloon sleeve at the side. For this sew 1.5 cm close at the bottom and leave 1 cm open between the yellow markings as opening for the elastic. Then close the rest of the seam. 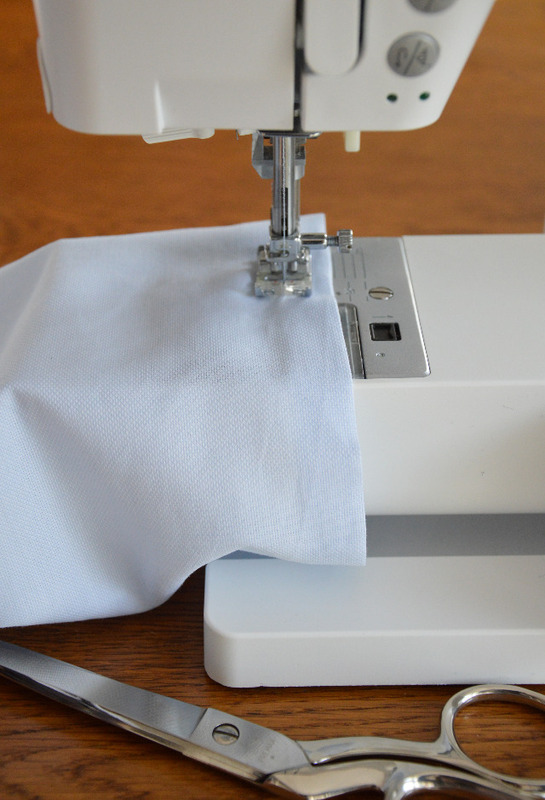 Neaten the seam allowances separately and iron them apart. 2. 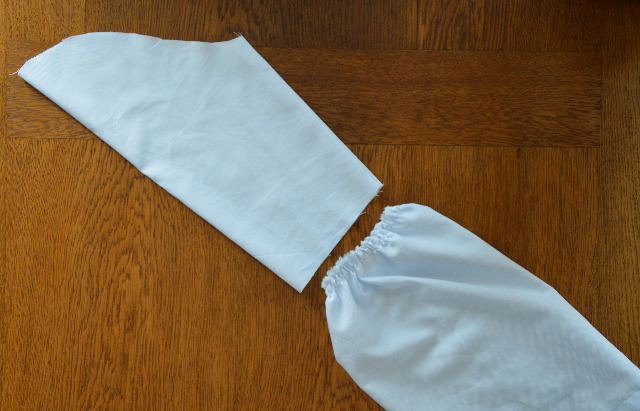 Iron the hem upwards and fold 1.5 cm under. Topstitch close to the edge from the right side. 3. At the top edge of the stripe sew 2 lines of stitches with the longest stitch setting. The first line is on the seam line and the next one is 0.5 cm on top of it. On side of the stitch lines pull up the bobbin thread and knot the top and bobbin thread together. At the other side pull at the thread to gather the seam. When you have achieved the width of the sleeve knot the top and bobbin thread. 4. 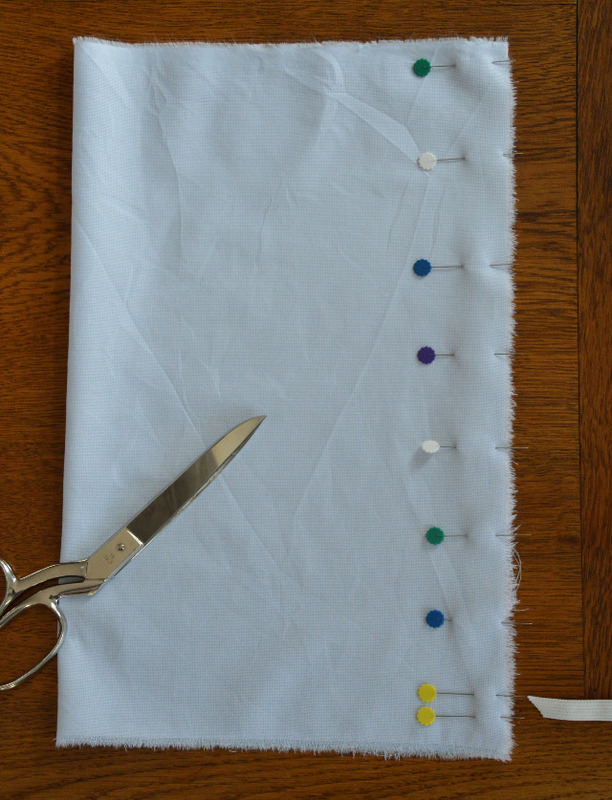 Turn the balloon sleeve to the right side and pull it into the sleeve and sew the 2 pieces together. 5. 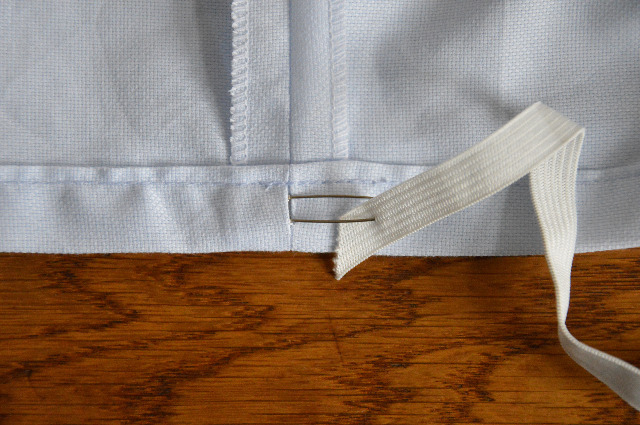 Pull the elastic with the help of a safety pin into the tunnel. 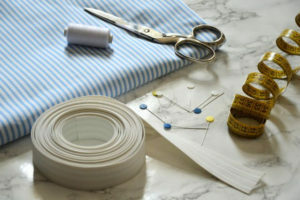 Overlap the elastic at the end by 1 cm and sew it together. 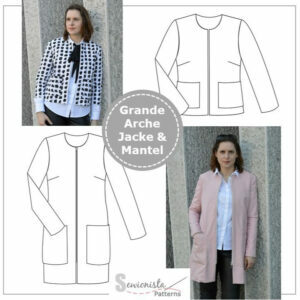 Then follow step 6 to 10 of the sewing instructions for the Grande Arche blouse/dress with short and long sleeves. I’m looking forward to your versions with balloon sleeves, which you can link in the comments. Hello Swing Top! Welcome Sewionista Patterns!